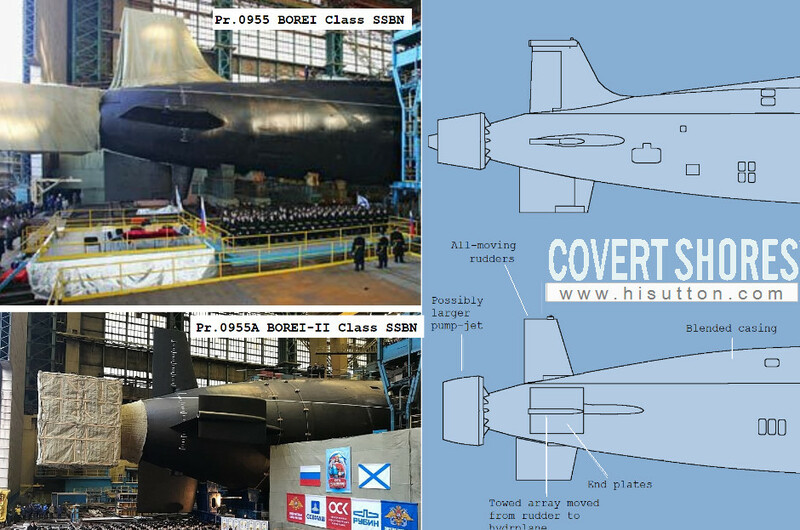 Count Vladimir: Russia’s first pr.955A Borei-II SSBN 5 out of 5 based on 6 ratings. 6 user reviews. 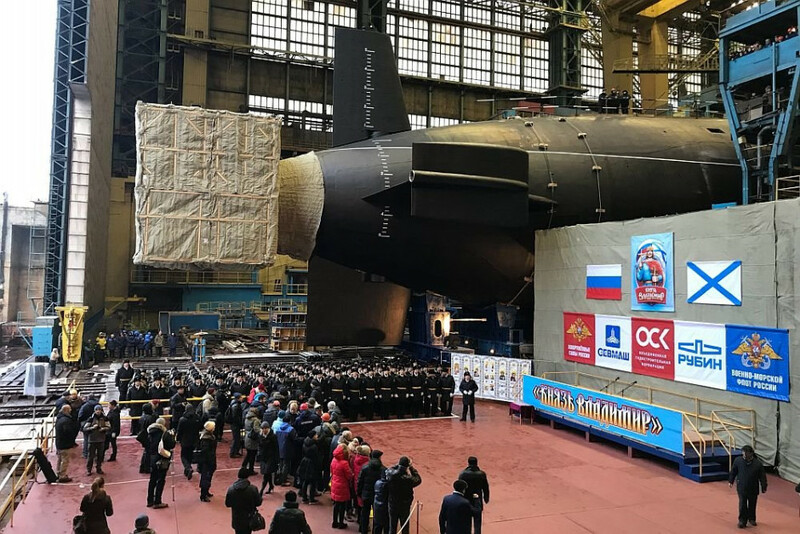 The Russian Navy recently launched its 4th Pr.0955 BOERI Class ballistic missile submarine (SSBN), Count Vladimir (Князь Владимир). 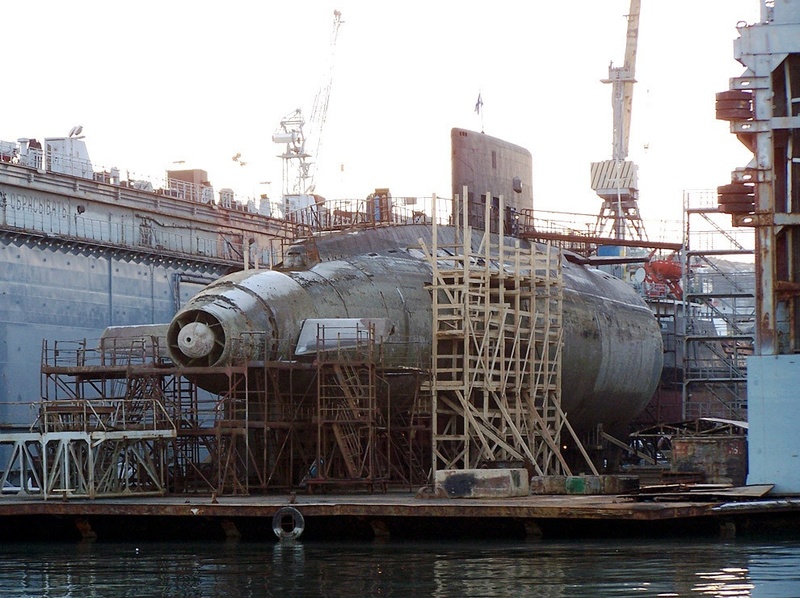 It was the first of the improved Pr.0955A (aka 09552) BOREI-II sub-variant. Original artwork – CLICK for HIGH-RESOLUTION image. 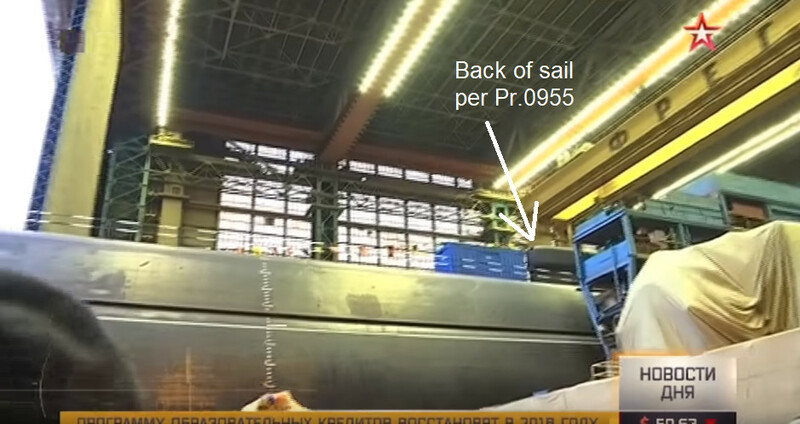 Note that on at least one of the origial Pr.0955s the missile hatches themselves do not line up exactly with the hatch covers visible on the side of the submarine. There are however 16 tubes in two closely-packed sets of 4×2. 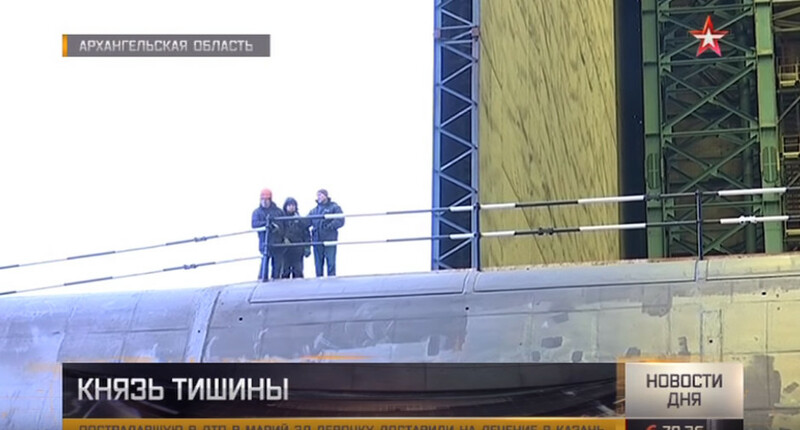 During the launch ceremony, cameras were not allowed behind a large screen set up at the front of the construction hall. 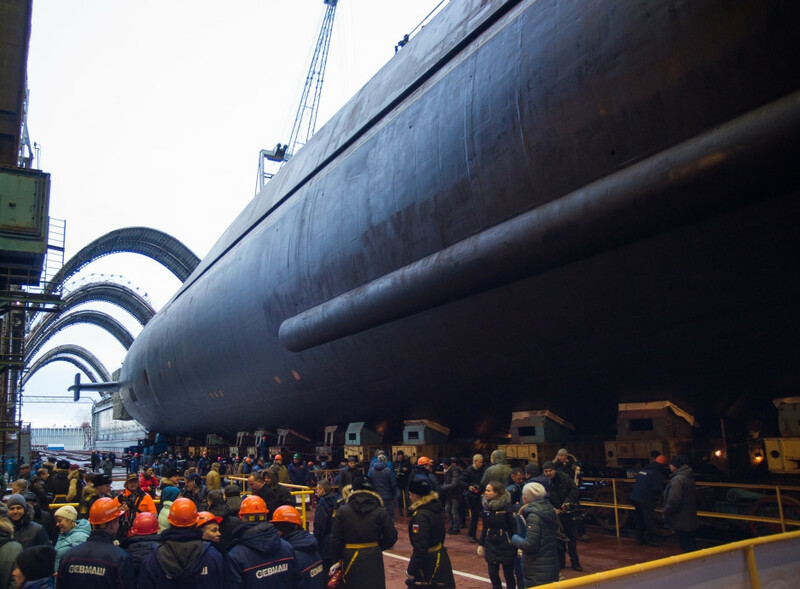 The likely reason for this was to prevent other submarines currently under construction from being photographed. 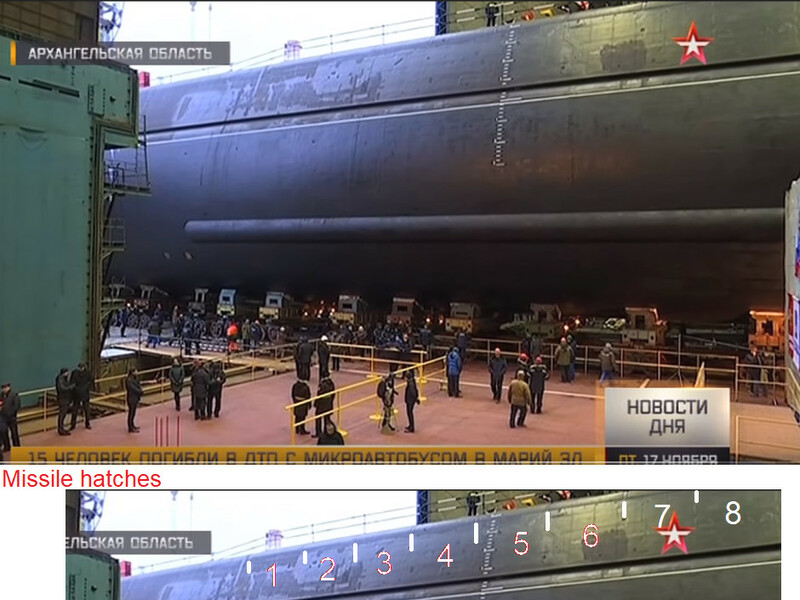 Despite this effort, some details of the tail-end of a large submarine can be seen behind the screen. 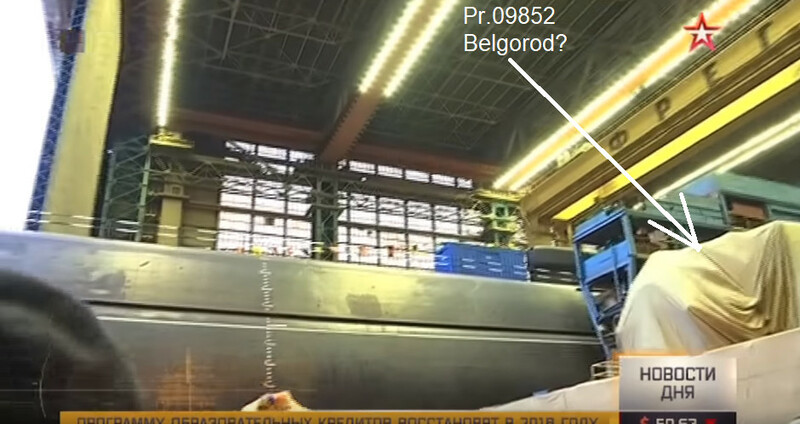 These are possibly the Pr.09852 Belgorod which is a much more sensitive project than the new SSBN. 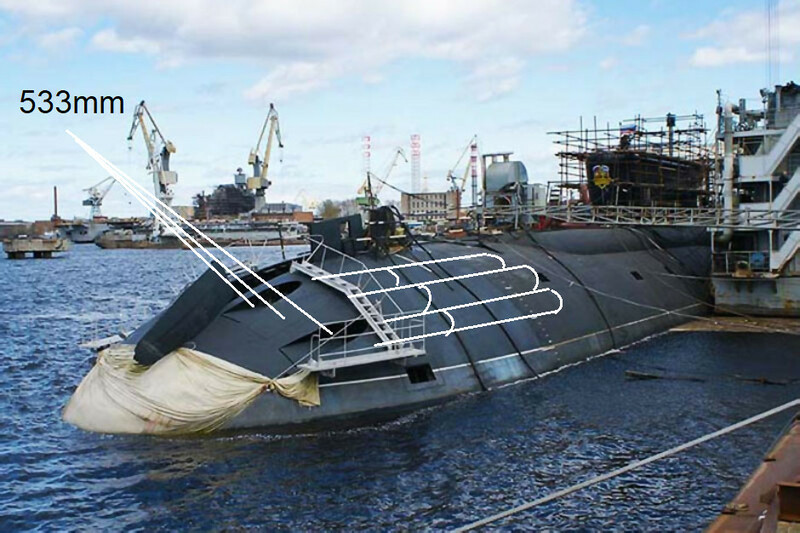 Hey thats pretty cool about the towed sonar array placement, however, wouldn’t this affect maneuverability as the ship would be more inclined to go straight(due to the extra vertical elements)? In all likelihood the effect this placement has is negligible in terms of hydrodynamics or affecting its manoeuvrability. If the array was larger sure, but at this size no.. 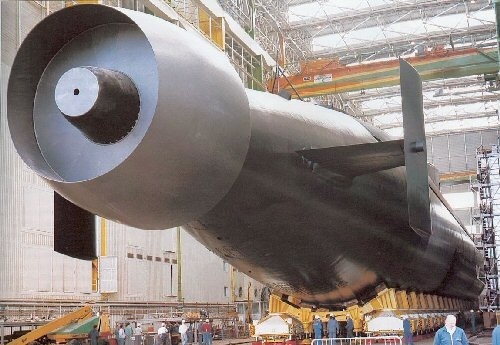 In the last article I noticed that the propulsion (or propeller) of the sub is hidden, so I searched a bit and found exactly nothing! 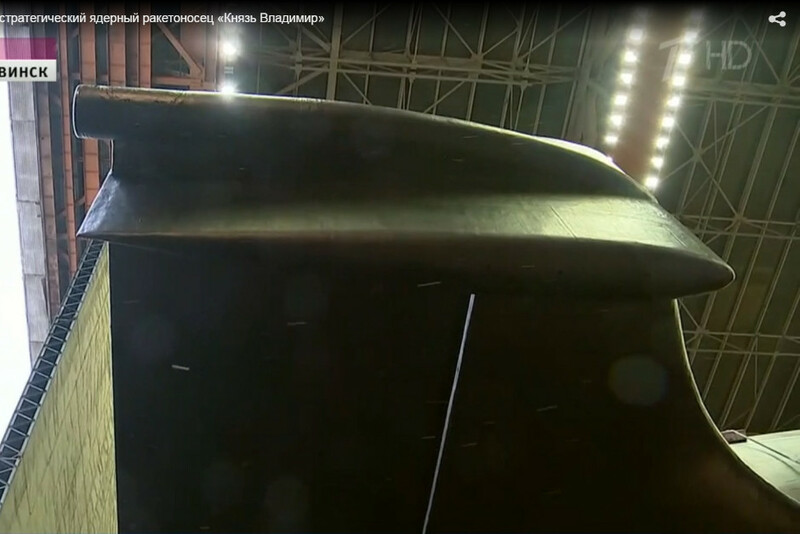 To me it looks like a ducted propeller or a waterjet. 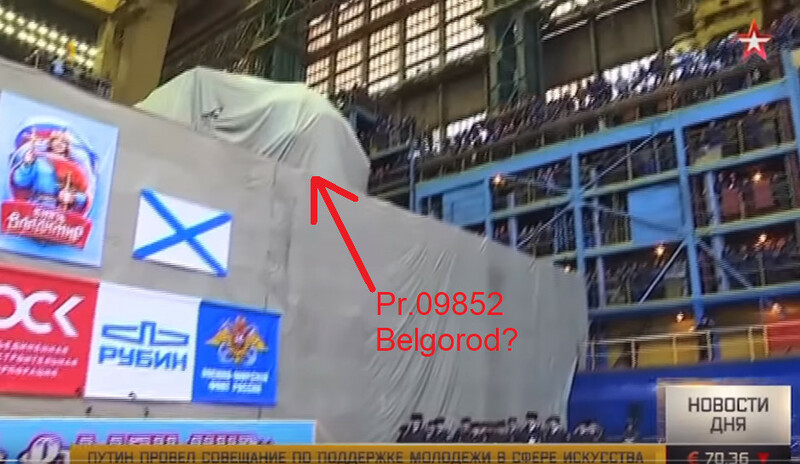 Anyway, it must be something new and important that requires hiding, I doubt that they bother to hide a ducted propeller when the structure of the fins, the sail, the torpedo and missile tubes and… are clearly visible. 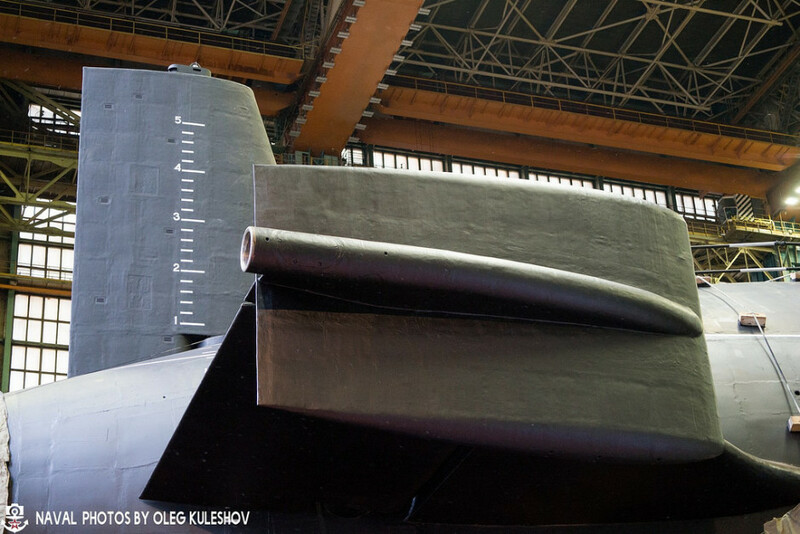 Would you be surprised if they invented something like their jets’ thrust vectoring into their submarines? Maybe I can ask them nicely and they give me the secret? Like I did with Shkval? Doesn’t matter. The glued box did it’s job fine and didn’t let prying eyes to see anything. I bet that American “fit” cover costs the US taxpayers thousands dollars, while Russians achieved the same effect by a few bucks. I’m sure you heard the story about the Americans’ orbit pen and the Russian pencils.